Using essential oils for pets can help get rid of bad odors, boost your pet's immune system, prevent yeast and mold growth, and repel insects. You may also be able to treat mild ailments, such as skin inflammations, itchy skin, rashes, bad breath, flatulence, and motion sickness. When using essential oils for pets, remember that animals have a much more acute sense of smell than you do, and some pets may react badly to essential oils. Use a mild blend at first and observe the results. Tearing eyes, sneezing, pacing, or whining are all signs that your pet finds the scent overwhelming. 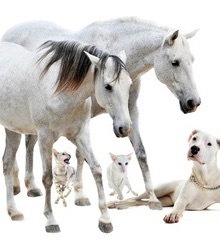 Dogs or horses may rub their head on the ground and cats may excessively lick themselves to escape the smell. 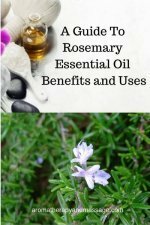 This article looks at aromatherapy and cats and essential oils for horses. For dogs, see this dog aromatherapy article. To say that using essential oils on or around cats is controversial is putting it mildly. Some people believe you shouldn't even diffuse essential oils around cats. The concern arises because some essential oils may be toxic to cats, in particular oils containing phenols or benzyl alcohols. Because cats don't metabolize those substances well, they may cause liver damage. However, aromatherapy expert Robert Tisserand thinks this concern is overstated, writing, "Cats are quite susceptible to toxicity from nutmeg oil and tea tree oil. 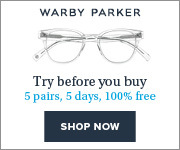 But, a small amount of any essential oil, and a moderate amount of most, will not harm your cat." An article in Animal Wellness that solicited the opinions of several aromatherapy experts concluded, "Exercise caution and watch your kitty for subtle changes in behavior and/or a lack of energy." For topical application, start with a one percent dilution (1 drop essential oil in 1 teaspoon of carrier oil) or less. When diffusing essential oils, make sure your cat has a way to leave the room. If the cat doesn't like what it smells, chances are it won't hang around. If you are still concerned about using essential oils with cats, consider using hydrosols instead. A cat’s liver can properly process hydrosols, according to Holistic Aromatherapy for Animals. Never apply undiluted essential oils to a horse's skin. A 3 percent dilution will create a response if you use the right oils for the situation. If the horse has a reaction to essential oils or gets some in an eye, don't use water to wash them off. Use a carrier oil or milk. Never use essential oils for a medical condition without first consulting your veterinarian. Bergamot: To relieve skin irritations and ease anxiety. Chamomile: To calm. It's also good for muscles. Eucalyptus: To prevent illness, freshen the air in a stable, and relieve muscle soreness as part of a post-event muscle rub. Frankincense: To use in a wash for wounds and in a chest rub for respiratory disorders. Geranium: To help relieve spasms, provide a mild analgesic effect, and balance hormones and moods. Lavender: To soothe heat and inflammation. 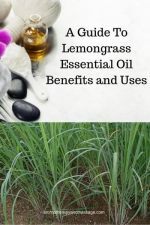 Lemongrass: To aid in the recovery of tendon problems and shin soreness. Tea Tree: To use in a blend of essential oils for rain scald and ringworm and in a wash for wounds to prevent infection.